FOR DARING to create tension, confusion in his Sunday sermon hate speech which may lead to breakdown of law and order in Freetown, the Sierra Leone Government immediately ordered the arrest and investigation of Nigerian Pastor, VICTOR AJISAFE, founder and president of the Sanctuary Praise Church with huge branches all over the country. 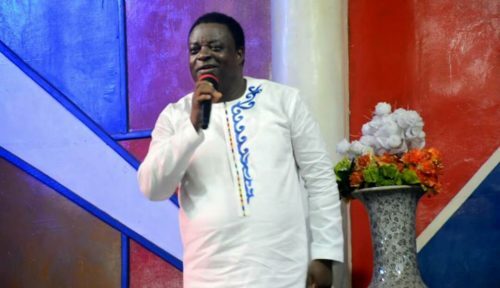 Since the Nigerian pastor’s church is seen as the third biggest church in Sierra Leone with thousands of followers, police in the country acting on instructions from above tracked, arrested Ajisafe, and he is presently being investigated for making the worst hate speech in the country’s religious circle. 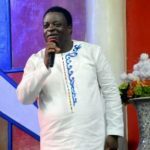 As such, the Sierra Leone Police has confirmed the arrest of Pastor Victor Ajisafe, Sanctuary Praise Church after delivering what is being described as the ‘the biggest religious hate speech ever in the history of Sierra Leone,’. His arrest comes after the prominent Nigerian-born Evangelist blasted famous Islamic scholar and Grand Mufti of Zimbabwe, Mufti Ismail Menk over alleged claims that Sierra Leone is an Islamic state. The Sierra Leone government also had to summon an emergency of the executive of the Inter Religious Council of Sierra Leone to discuss the issue. Government also suspended operation of Ajisafe’s church, its branches and operational license pending conclusion of investigations by the Sierra Leone Criminal Investigation Department. For the records, Mufti Menk was in Freetown on a two-days visit (Islamic lecture) mission on from 21 -23 September. He landed at the Lungi International Airport on Thursday, 21 September on the invitation of the Foundation of Islamic Information Sierra Leone, FOISIL, and held an inspirational lecture at the jam-packed National Stadium on Friday and at the Freetown Central Mosque at Rokupa. Local media reports that: “It is worthy to note that over 50,000 people filled the National stadium during Mufti’s lecture, a record which is the first of its kind in the history of Sierra Leone.” Sierra Leone Muslim and Christian leaders are now calling for him to be deported from the country. Mufti Menk, during his visit to President Koroma at the state house lodged in Freetown, said part of the reasons for his visit was to sympathize with the victims of the August 14th Mudslide and Flood disasters and also pray for those who lost their lives, as well as for the country. But Ajisafe, who is founder of one of the three largest evangelical churches in Sierra Leone, was not happy with this. In a sermon that is circulating on social media, he described Mufti Menk as “a liar and an angel of Darkness who came to deceive Sierra Leoneans, since Islam was a religion of terrorism”. He also claimed that Sierra Leone does not have a history of Islam. “You have idol worshiping and Christianity, those are the two religion here,” he said. This has scandalised and incensed Sierra Leoneans, who have expressed pride in their religious tolerance. They also point out that he misrepresented Mufti Menk’s sermon and was uninformed on the history of Sierra Leone. Both Muslim and Christian leaders are calling for him to be deported from the country.